London’s iconic sights and historic landmarks are known pretty much all over the world: from Big Ben and Tower Bridge to London Eye and Buckingham Palace, the Big Smoke’s top attractions see scores and scores of tourists visit every year. But this vibrant capital has more to offer than whatever’s listed on the first page of your travel guide. In fact, explorers willing to veer off the beaten path in London will be rewarded mightily with loads of alternative sights and unique experiences worth writing home about. Here are eleven unusual experiences you don’t want to miss on your next trip to London. The neon-lit wonderland that is Gods Own Junkyard. All photos by the author. This neon-lit, rainbow jungle in Walthamstow showcases the work of artist Chris Bracey. Jam-packed with neon signage and vintage ephemera, you’ll be bathed in vibrant light the moment you step inside the art space. Once you’ve had your fill of the luminous display, visit The Rolling Scones cafe onsite for afternoon cream tea and generous slices of cake or head next door to the cosy gin joint ​‘Mothers Ruin’ for something a tad stronger to help you process the artwork. Dalston Eastern Curve Garden is one of the cosiest places in town to kick back and sample a bit of hyper-local produce. A real hidden gem located opposite Dalston Junction and just off Kingsland High Street, this cosy garden built on an old railway line is maintained by an active community growing vegetables, plants and trees. You can snuggle up with a blanket in the quirky seating area decorated with street art and disco balls on a wintery day or visit in summer and have a delicious meal by the vegetable and flower beds. Either way, a visit to Dalston Eastern Curve Garden makes for a great outing. Happy piglet frolicking about at Hackney City Farm. If you thought London was just a crazy concrete jungle then you obviously haven’t heard of Hackney City Farm: a welcome breath of fresh air nestled in the urban sprawl of London. Located right next to Haggerston Park, Hackney City Farm is home to a variety of farmyard animals which adults and children alike are free to visit, giving the community a chance to experience and learn about farming in the heart of a metropolis. Make sure to swing by their restaurant for some truly tasty treats! To this day, the Barbican Centre still divides opinions on its gloriously brutalist look. This performing arts centre is a unique architectural sight in comparison to the more highly classical and modern styles that make up London’s city centre. Make your way to the Barbican Estate housing complex to check out this spot of bold Brutalist architecture which still seems to divide opinion on its unusual look to this day. You can also catch films, concerts, theatre performances, art exhibitions and more in one of its many theatres. Or come by on a Sunday when the amazing Barbican Conservatory is open to the public and explore a world of botanical greenery. Picture-perfect and secluded, St Dunstan’s is an Instagrammer’s dream. Escape the city’s hustle and bustle with a visit to the hidden ruins of this old English church built in Saxon times. Slightly overgrown, yet still tended to by gardeners, this location is a favourite amongst businessmen on their lunch break and fashion photographers looking for an eerily beautiful background for models posing in their photographs. Venture into the depths of the Wellcome Collection & Library for unique and supremely interesting exhibitions on the intersection of science and art. This free museum and library is dedicated to educating visitors about the relationships between health, science, medicine and art. Beyond its permanent exhibition, the Wellcome collection features various curated exhibitions and shows that intrigue and encourage guests to reflect on what it means to be human. The Wellcome Library, which is home to over 750,000 books and journals, is also truly magnificent and well worth you taking the time to peruse its marvellous contents. Shoreditch is packed with world-class street-art – if you know where to look, that is. Shoreditch is celebrated for its hip vibes and thriving street-art scene, attracting world-famous artists like Banksy, Ben Eine and Roa, and I highly recommend you explore their work by taking an off-the-beaten-track tour with Alternative London. On the tour, you’ll learn about the artists that use Shoreditch as their canvas and even have a go at making your own stencils and artwork. Famous for its appearance on the album cover of Pink Floyd’s iconic Animals, the Battersea Power Station is a must-see for fans of the band. If you’re a Pink Floyd fan, particularly of their ​‘Animals’ album, you shouldn’t miss the opportunity to check out their album cover here in real life. 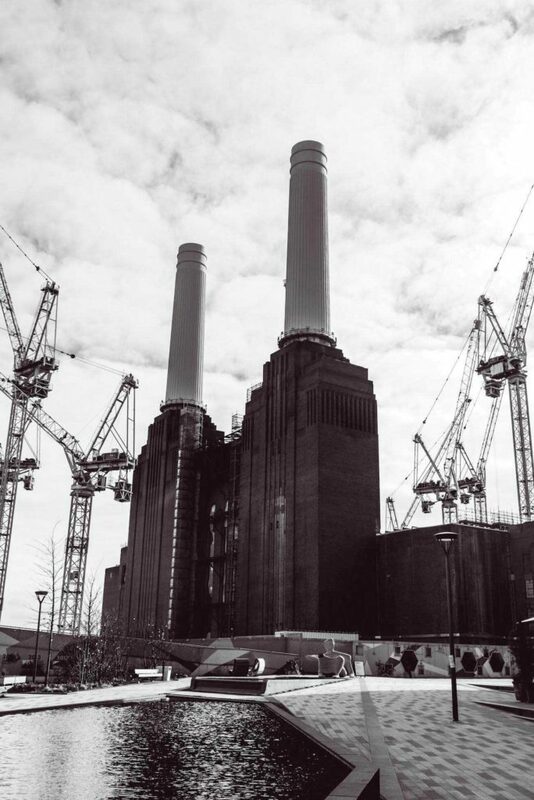 Battersea Power Station (pictured on Pink Floyd’s album artwork) is an eery decommissioned coal-fired power station which is currently under restoration as part of major local redevelopments. New food joints and quirky pop-ups are cropping up in the area as well as fabulous shops, parks and unique cultural spaces. See the redevelopment in action or drop by to get the feel for a soon-to-be fabulous hangout spot. The Serpentine Galleries in Hyde Park are just some of the amazing smaller art galleries scattered throughout London. The Tate Modern, the V&A and the National Portrait Gallery are some of the best art galleries in London, and even the world, but check out some of London’s smaller and quirkier art-hubs like the Serpentine Galleries in Hyde Park, famous art collector Victoria Miro’s galleries, ​‘Victoria Miro’, in Mayfair and Hoxton, and the Whitechapel Art Gallery in Whitechapel for an experience out of the ordinary. 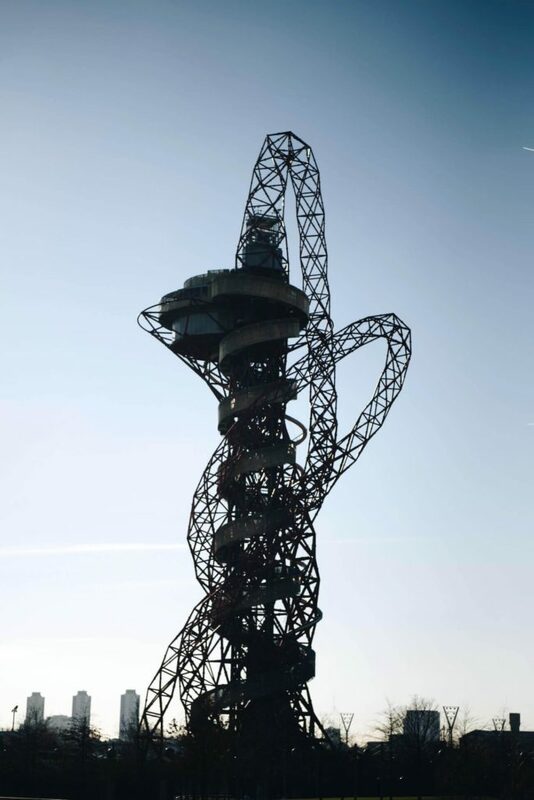 The ArcelorMittal Orbit is not only the definitive icon of the 2012 Olympics, but also home to the world’s longest slide and amazing views of the city. An icon of the Queen Elizabeth Olympic Park in Stratford and the London 2012 Games, the ArcelorMittal Orbit is the UK’s tallest sculpture. Additionally, the structure also features the world’s longest tunnel slide and boasts great views of the city. The metal entanglement is a strange spectacle and definitely makes for a great story to tell your friends if you’re brave enough to try the 178 meters long slide. Make sure to book tickets in advance. Skip the lines at London Eye and go for a smooth cable-car glide across the Thames instead. If you can’t hack queuing up for the London Eye, go for a ride on an Emirates Airline cable-car across the Thames River instead. Located right by the O2 arena, this often overlooked ride offers unique views of London by air. And with short queues and reasonable ticket prices, the Emirates Airline is a scoop (unless you’re afraid of heights). Book a ride in advance at http://​www​.emi​rate​sair​line​.co​.uk/.